The Arrival of Missives will be published in the US tomorrow! This version includes a short story called ‘The Last Voyage of the Smiling Henry’ that was loads of fun to write, and I’m so pleased to think of the book being out there, hopefully reaching new people. It’s not a missive so much as a great big long list of questions that I often ask myself about life and love and science fiction and fate, and I hope it makes others think, too. In order to help it do just that Titan Books have set up a blog tour that takes place over the next two weeks. There’ll be interviews, articles, reviews and all sorts (including the occasional mention for The Loosening Skin and other books along the way) in a number of places. 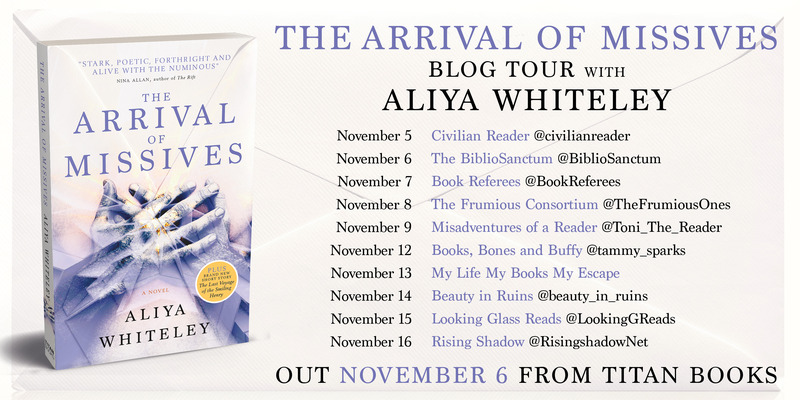 A huge thank you in advance to all the bloggers who are taking part, starting with Civilian Reader. My post about old ways to predict the future can be found over there as from today.